Now we start to find some fun. 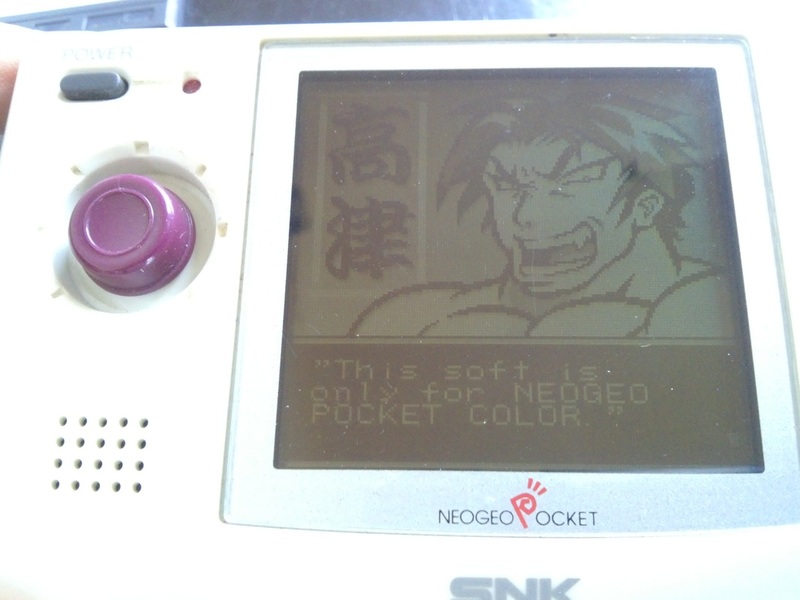 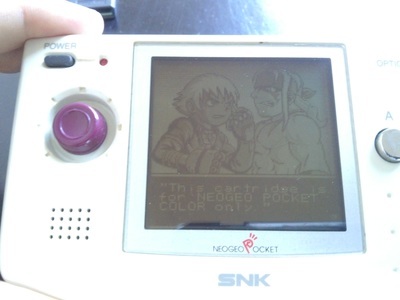 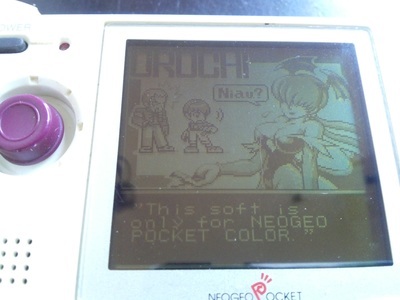 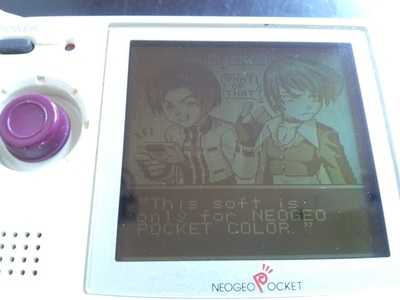 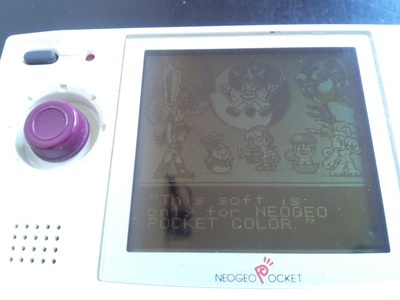 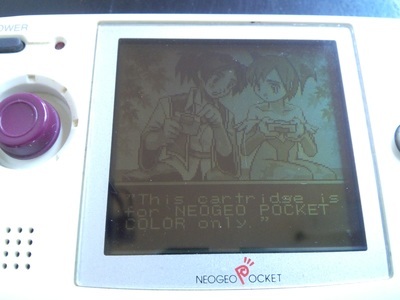 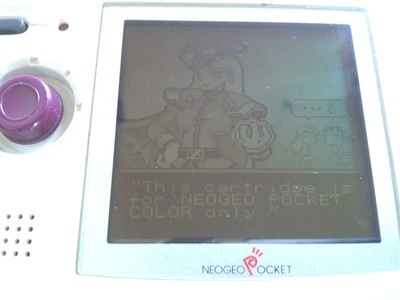 Hidden artwork and little easter eggs abound as developers find creative ways to tell you it's time to upgrade to a NGPC! 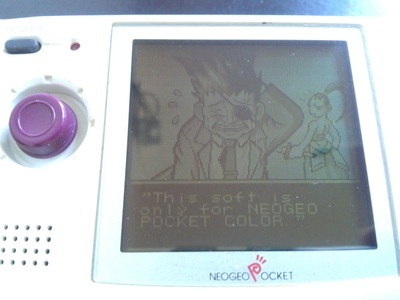 ​Let’s kick off with a game that will now be out of the price range of most non-millionaires. Already one of the rarest western releases due to its PAL only release in limited numbers (the Japanese version is easy to obtain but, sadly, not dual language.) 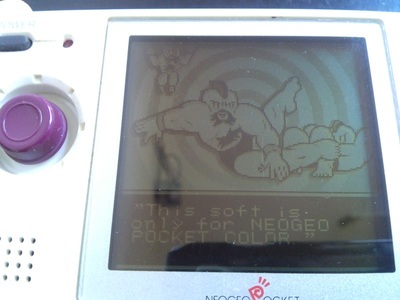 the recent stupidity of exploding prices on ebay has meant that the next time this one turns up you may very well need to remortgage your house to buy it. 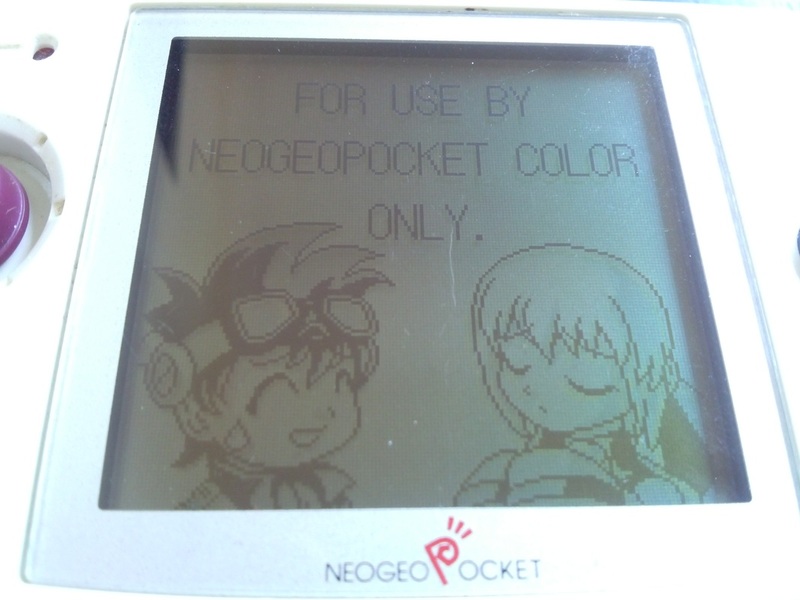 Nevertheless, if you do, make sure you boot it up on a NGP to see this cute little artwork of the game’s heroes looking all sad that they can’t play their game on a NGP…or perhaps they are just equally depressed by the present state of the retro-game market. 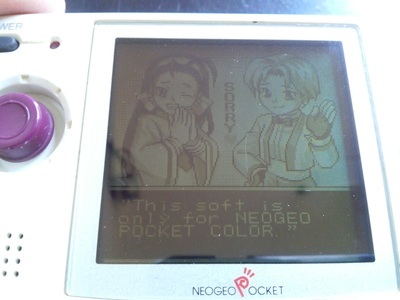 Another two games that will cost you an arm and a leg boxed, but which are reasonably cheap to get as loose carts (due to the blister packs that were sold after Aruze decided to discontinue the system in western markets). Neither game will work on the NGP system, but you do get this sad looking construction worker telling you so on both carts. Now we start hitting the paydirt. Not only is this Capcom/SNK dream match probably the finest game on the NGPC, it also provides possibly the second best fan-service treat of any cart when you plug it into an original Neo Geo Pocket. 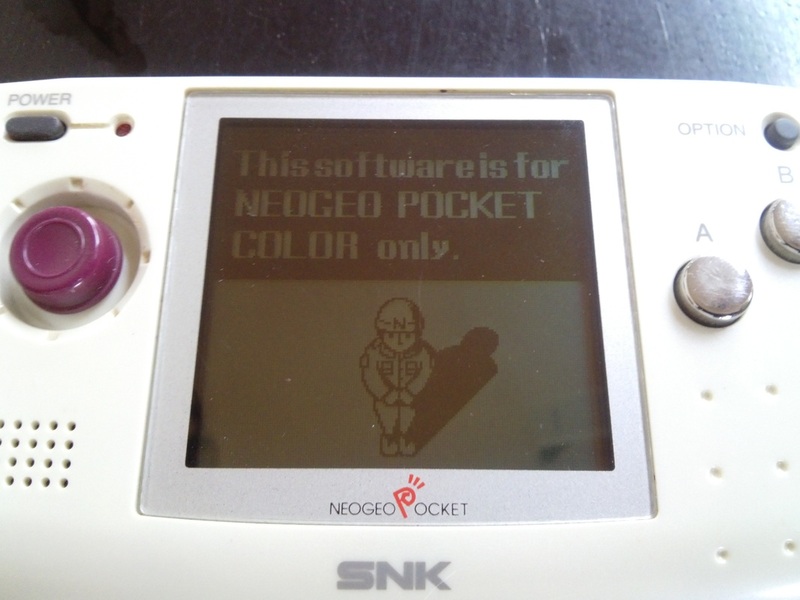 No less than 12 (possibly more?) 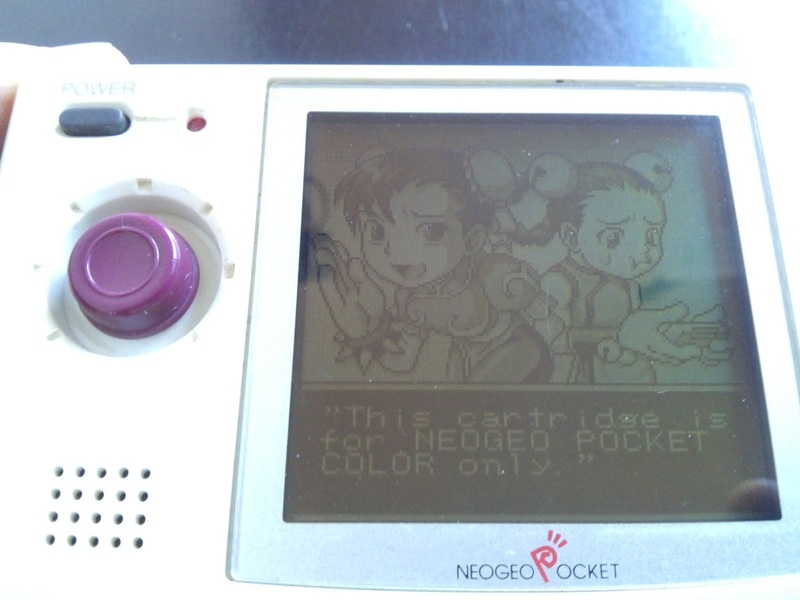 separate pieces of hidden artwork, not found anywhere else in the actual game, will be randomly selected to pop up when the game is plugged into a monochrome system. 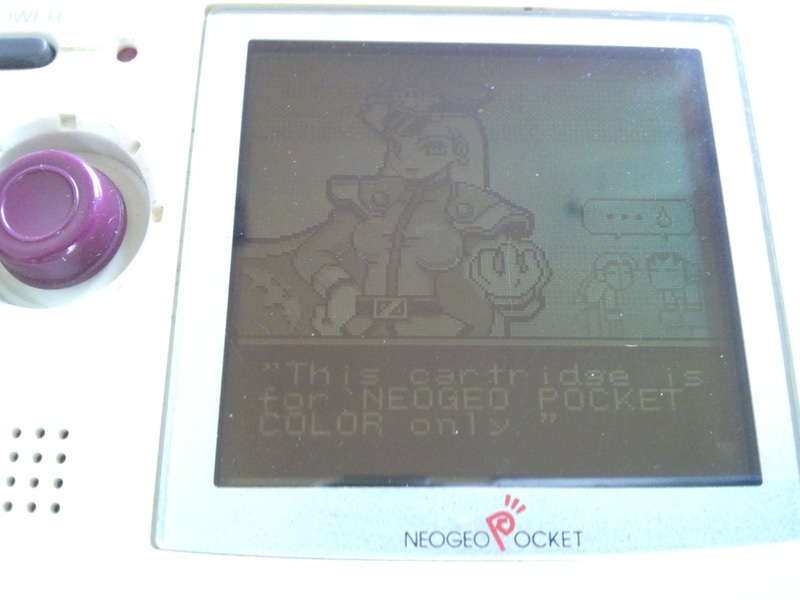 These include genuinely humorous moments such as Iori steadfastly refusing to be jealous of a NGPC playing co-fighter, a large breasted female version of M.Bison making Vega and Balrog sad and a scene where everyone appears to be transformed into a Gashapon capsule toy! If you’re a Capcom or SNK aficionado then its well worth getting a NGP just to see these. 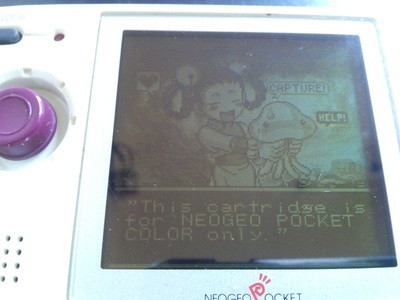 Or you could look at these images we captured. That would also be fine. As nice as these still images are, we also have a few bonus animations hidden away in a couple of other games to get through before we finally get to that secret game!